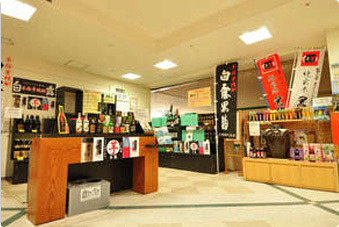 In the large shopping area, we supply from popular souvenirs to our original products of Kagoshima. You can order popular products 24/7! 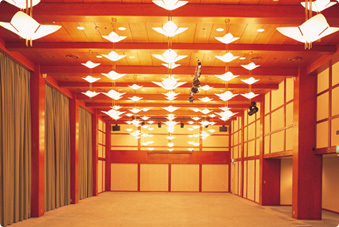 Ibusuki Iwasaki Hotel is a multipurpose uses facilities. We accepted many J-league soccer team and also 2002 FIFA World Cup France National Football Team as their camp site. 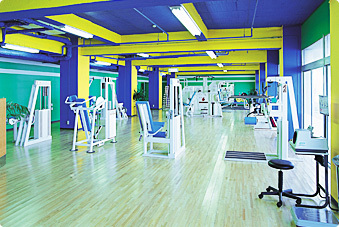 Also, we have full-fledged gym space in our hotel and it is perfect for various sports trainings and overcoming a lack of exercise. It is certainly refreshing to work up a good sweat on the cardio equipment while gazing at the view of the Kinko Bay spread in front of you. The best location where you can see the Kinko Bay under your sight. 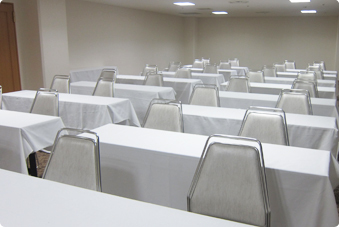 Our Capricorn Rooms is suitable for multipurpose use including party, reception, convention and exhibition. 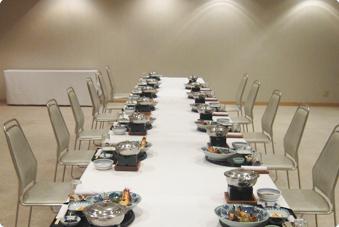 Convention, reception, party, events, exhibition, ceremonies, lecture meetings. 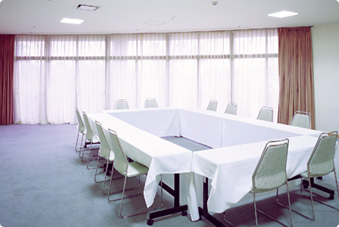 Ibusuki Iwasaki Hotel supplies various convention rooms including rooms suitable for small group meetings and large group lecture meetings and our guests can choose rooms in accordance with their intended use. From the Diamond room, you can enjoy the view of our garden which is full of subtropical plants and the Kinko Bay. 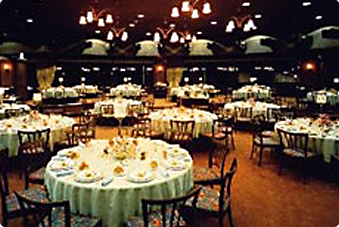 Also, the Emerald Room, Sapphire Room and Coral Room provide a very quiet calm environment. 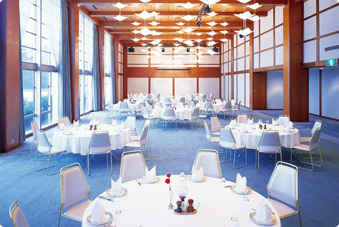 The wooden interiors in our Main Dining Room create a stylish and gaiety atmosphere. Also the view of the Kinko Bay in our Sun Terrace allows you to experience a very calm time while having delicious banquet meals. a warm sunlight of Southern resort wraps you. Our original seasonal menu will entertains you. 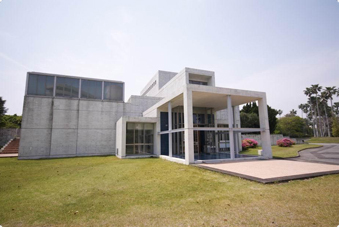 Iwasaki Art and Craft Museum collects and exhibits French paintings from the 19th Century onwards, contemporary artists from overseas, local and Japanese artists. Our collection also includes Japanese paintings and Bokusho (writing in Indian ink).